In the very early days of building Sonr, we talked to newsrooms all over New York City and London to get a sense of what tools journalists are currently using to get the job done. 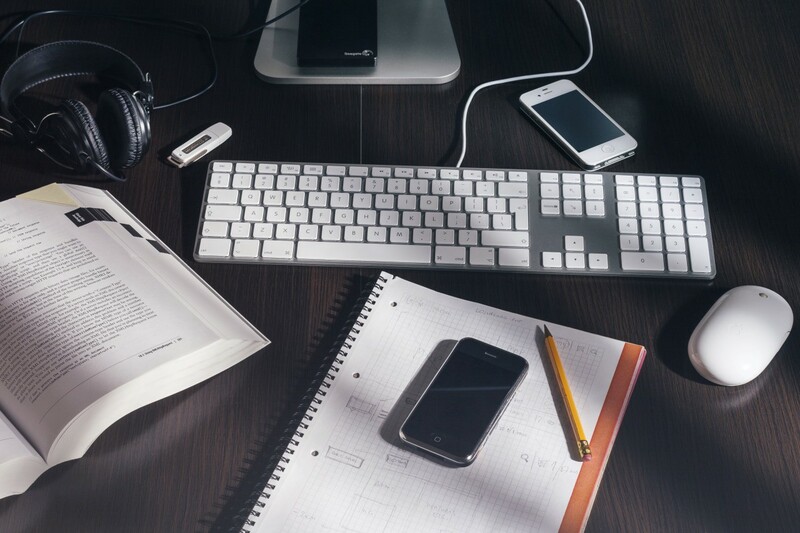 Some of these newsrooms were more traditional than others, but we found that there was a core set of digital tools that most writers and editors couldn’t get through the day without. Let us know what you think, or if this list is missing anything in the comments! Slack has become popular as the primary form of communication for many workplaces, and newsrooms are no exception. E-mail is slow, G-chat capabilities are limited, and Hipchat is…you know, lame. But Slack makes communicating with coworkers fast and simple. If you’re not familiar, Slack is a real-time messaging app for teams. Some people use it to host communities, like Modern Journalist. And some newsrooms use Slack’s bot integration to provide real-time data or feedback for its editors. I use it mostly to send passive aggressive custom-made emojis to coworkers. Twitter is still the primary platform for the journalism community, and Tweetdeck is still the best way to consume it. Many journalists we spoke to don’t like the experience of Twitter.com because it doesn’t feel fast or real-time enough (which Twitter has actively tried to dampen for its regular users). 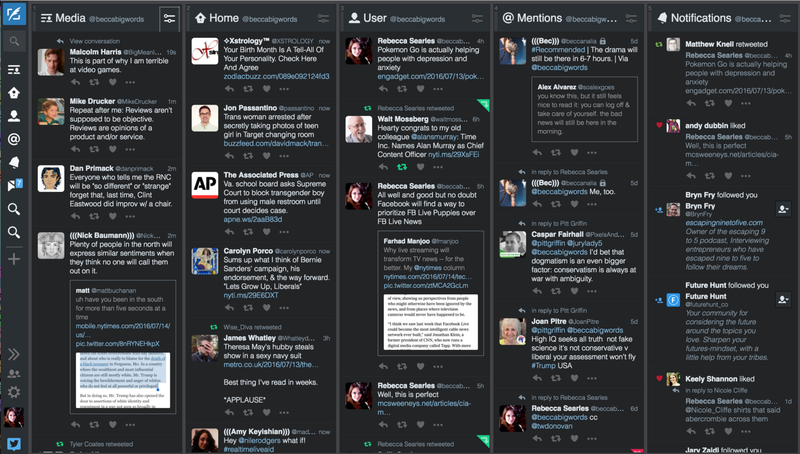 Tweetdeck on the other hand, offers side-by-side quick-moving streams of information. 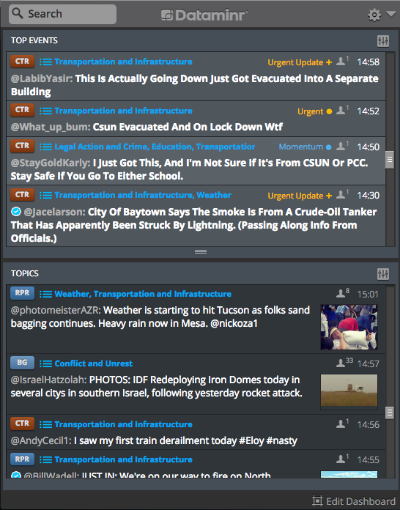 It’s perfect for monitoring lots of different Twitter lists for news/trends, and is also useful for engaging with your followers. Buffer is a social media management tool that posts for you automatically throughout the day (on Twitter, Facebook, LinkedIn, etc.). Click a handy bookmarklet on any given link or image, write your post copy, and add it to a queue. Buffer will send it out based on a schedule you determine in advance so you can set it and forget it. I use it mostly to make sure I have a regular stream of content coming out of my personal social accounts, but lots of teams use it for managing publisher/brand social accounts. Social Flow is another social media management tool. Its claim to fame is that it intelligently analyzes your content and posts it depending on when it predicts that it will resonate best with your audience. Essentially, you add your published content to the Social Flow queue and give it a set of parameters, and Social Flow will post your stories to the right platform at the right time, based on real-time conversation data. The first place journalists check to see what’s happening or trending is still Twitter and Facebook. Twitter is great for getting a sense of what people are talking about *now. * Facebook, on the other hand, is slow when it comes to trends. Its “Trending” section is often a day or two behind the news cycle, so by the time a story shows up there, it’s basically already old news. Facebook’s strength, though, is in helping editors catch the big conversation-starter pieces they might have missed at first, and understanding the discussions that surround them. Chartbeat is a real-time traffic analytics tool that has become a lifeblood for many news organizations. It gives editors insight into what content is doing well on their website and what content isn’t, so that they can make more informed editorial decisions. 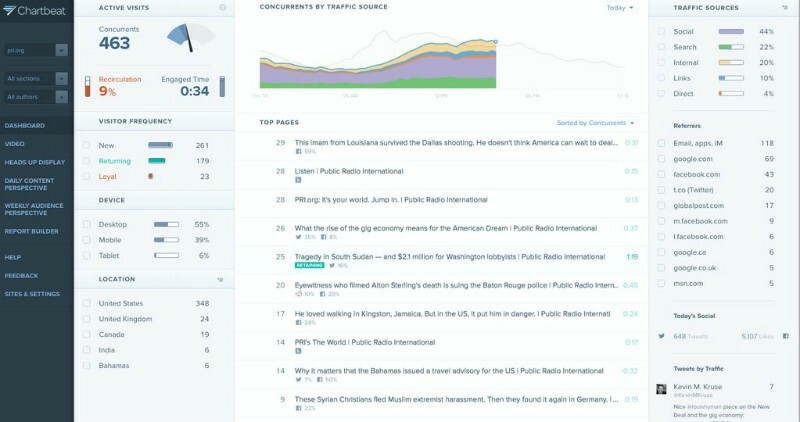 According to some editors we interviewed, it’s even sort of addictive to watch the Chartbeat traffic meters surge in real-time during heavily-trafficked moments. Since so many digital news outlets rely on pageviews and clicks for advertising dollars, tools like Chartbeat have become indispensable. Nuzzel is becoming more widely used as a tool to alert journalists to stories that are gaining traction in their networks. The app shows you the top shared stories by your Facebook or Twitter friends, or a group of influencers that you choose to follow. This way, you get a filtered-down feed of actual news, curated and contextualized by people you trust. The mobile alerts are also useful for alerting journalists to trending stories that they might be missing while on the go. CrowdTangle is a tool that helps editors make a little bit more sense of the black box that is Facebook’s newsfeed algorithm. By showing what posts are performing best on Facebook, on your own page or on competitors’ pages, CrowdTangle allows journalists to make more informed decisions about what they choose to cover and promote on Facebook. It also tracks posts around keywords, so you can look at the best-performing posts around a certain topic. Seeing what content does well on Facebook isn’t just helpful for making editorial decisions, it’s also great for sourcing highly-engaging content to share on your own page to boost page Likes. Google Alerts and Dataminr are useful for journalists who work a specific beat. A Google Alert will notify you whenever a new piece of content that matches your keyword criteria is published to the internet. If you’re a Weird News reporter like HuffPost’s Lee Spiegel for example, you might set up a Google Alert for the words “UFO” or “Bigfoot sighting,” so that you don’t miss that random blogger’s new post about his alien encounter. Similarly, Dataminr is a tool based around keyword alerts. But instead of scanning Google’s index, Dataminr scans the firehose of public tweets (and some other datasets), and runs it through an algorithm to surface breaking news and early trends. This is an important one for social media editors who need to fact-check and verify the information they gather via social networks. Ask anyone who covers natural disasters, for example, and they’ll tell you that the same fake, decontextualized, or altered images reappear for almost every severe-weather event. To stop the spread of misinformation and verify the source of the images, editors use Google’s Reverse Image Search tool to trace the origin of an image. You can even specify by date to look for the image being posted within a certain date range. Rebecca Searles is part of the team of journalists and developers building Sonr, the most powerful tool for real-time social media searching, monitoring, and trend-analysis. Sign up now for access to Sonr Beta. Journalism innovations specialist. Founder @womenfuturists. Formerly @huffingtonpost, @psychtoday, various startups. Excited for the robot takeover. Taking on the problems and challenges in journalism. Spreading ideas, passions and new ways of thinking about media. A publication run by Media Lab Bayern.